Xiaomi seems to have realized that thanks to their brand able to produce excellent devices at more than favorable prices, a lot of people are now able to save money and put aside the accumulated money or precious goods purchased with them. So the next step is clearly the creation of a safe, strictly smart, to preserve all that well of God. 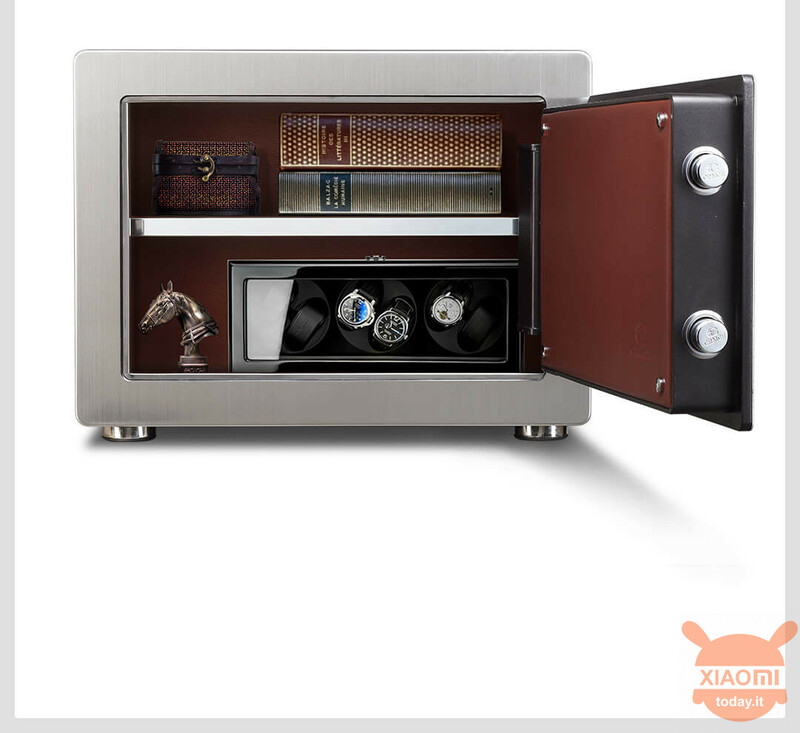 Seriously, the new Xiaomi CRMCR Smart Safe, made by a third-party vendor and shipped by Ningbo Lejia Security Technology, is the latest article to become part of the immense catalog on the Xiaomi satellite site, YouPin. 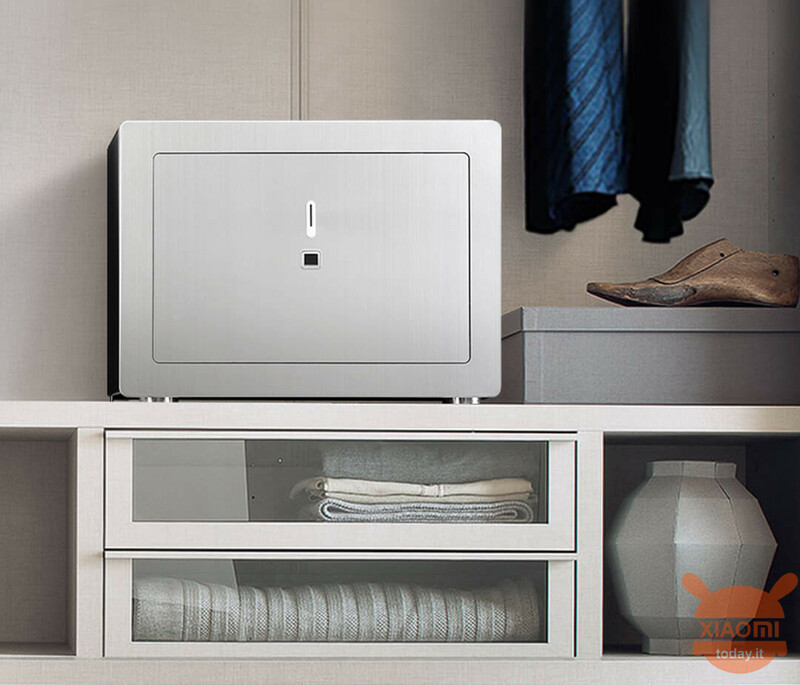 The smart safe, which comes with a digital fingerprint sensor, measures 48cm in width, 38cm in depth and is high 35cm, while the weight settles on 44kg. The door panel is made of steel with a double layer composite technology for amplified robustness. In particular, we have an anti-perforation, high-strength stainless steel layer and a low-carbon Q345 alloy steel sheet to prevent corrosion. This metal alloy allows you to create a wider opening angle and eliminates the weak ring that is usually in the hinge. Finally, the thickness of the panel is beyond the Chinese national standard of 6 mm, reaching well 9mm. As for the interior instead, we have a soft cover made with special processes with the function of shock absorption and moisture proof. So, whether it's jewelry, watches, documents, photos, luxury goods or cultural relics, we will not have to find any surprises at the reopening after a long time. Well, now that we know how safe this safe is, how can we open it? 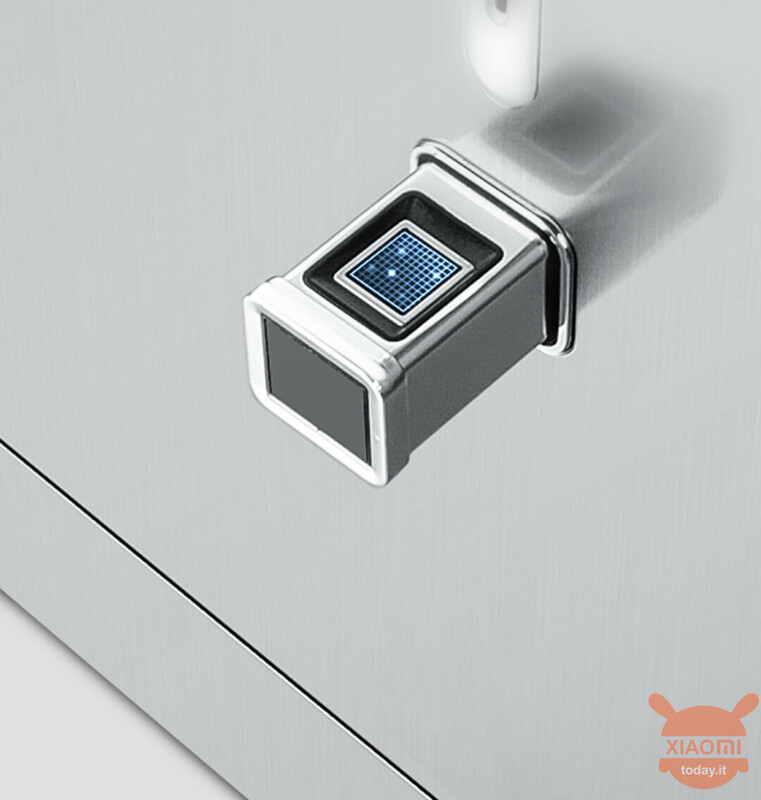 As you have already understood from some images, the Xiaomi CRMCR has a fingerprint sensor in the front. But do not confuse the black button you see on the door for the sensor, that is just a button that once pressed causes the fingerprint scanner to come out. The sensor is then placed on the one that is then used as a handle to open the safe. 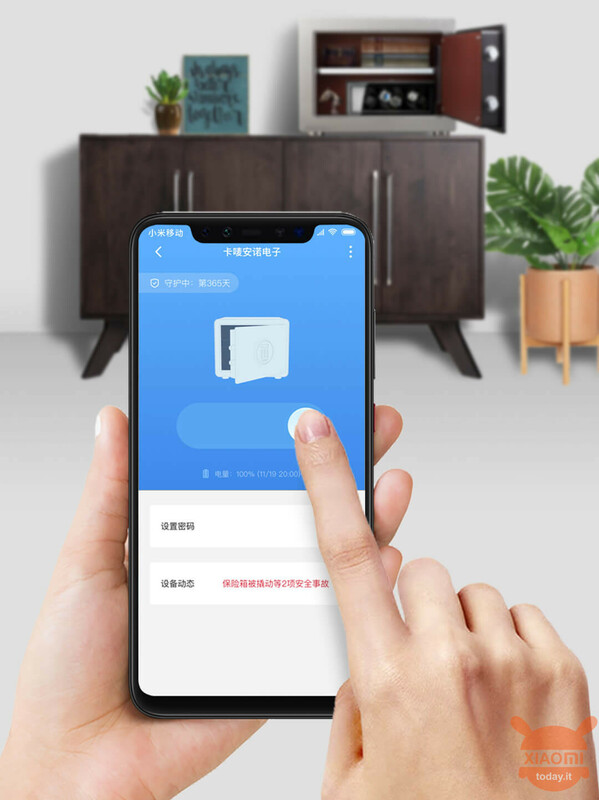 Finally, it can not be a smart Xiaomi product without integration with the Mijia application. Thanks to the app it will be possible to receive notifications in case of unusual operations such as a break-in attempt or a safe movement. You can also use the application to open the safe with a simple swipe. 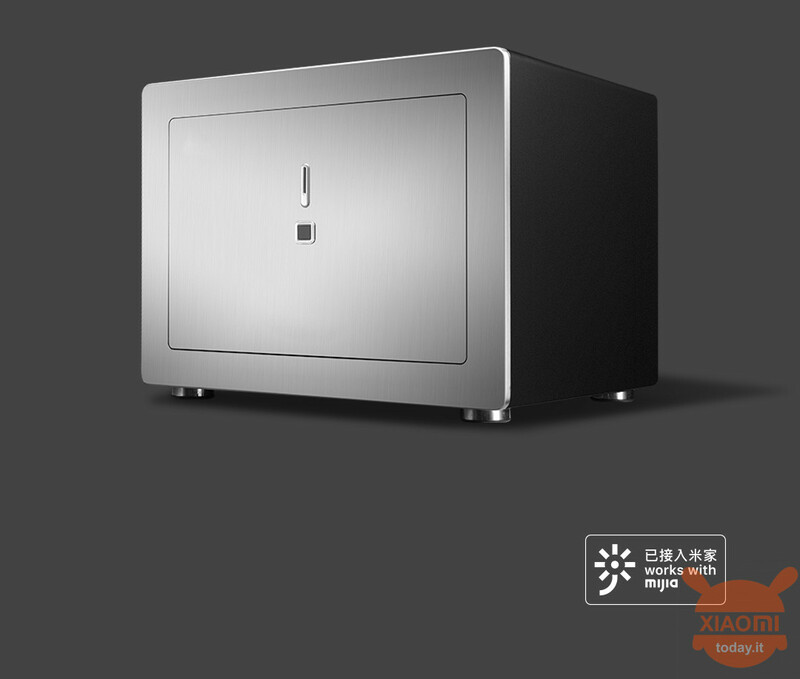 The Xiaomi CRMCR Smart Safe is now on sale on Xiaomi website (in China) for 1999 yuan, 360 € approx.